is change. I've heard this a million times. I've said it a million times. But I'm living it. Actually, we are all living it but things are changing around here. As you know, I'm a momma of 3 boys, one of them an autistic 6 year old - Bman. Lately I have had a tug on my heart for other mommas of autistic kiddos. 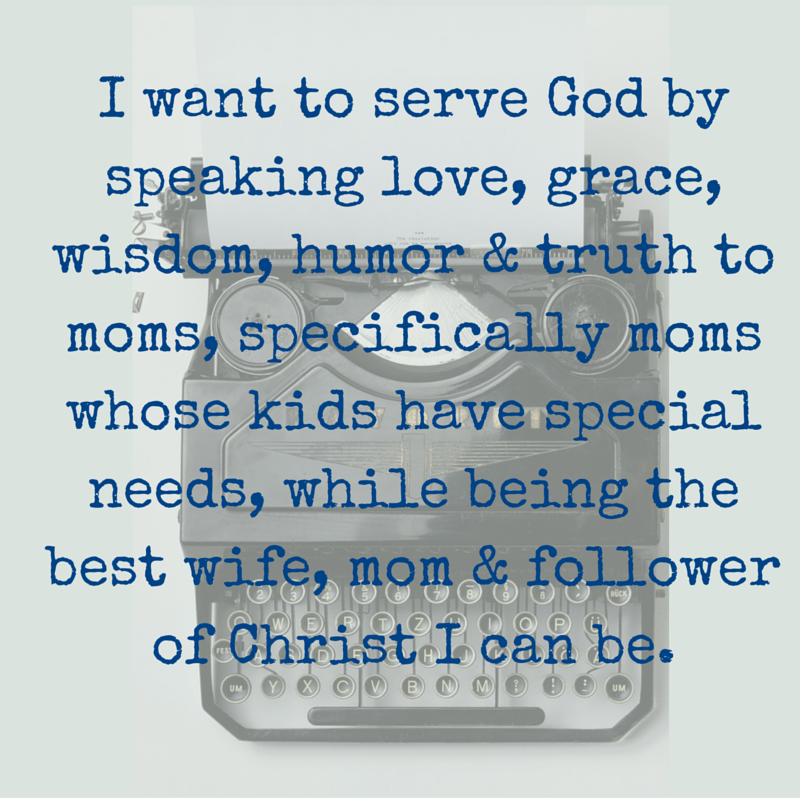 I want to be a resource for families. I've had mommas come alongside me and love me. I want to do the same for mommas of autistic kiddos. I want them to know that they are not alone and that they are loved. I'm not an expert but I am living smack in the middle of autism and I know how to love. I don't know what this will end up looking like. 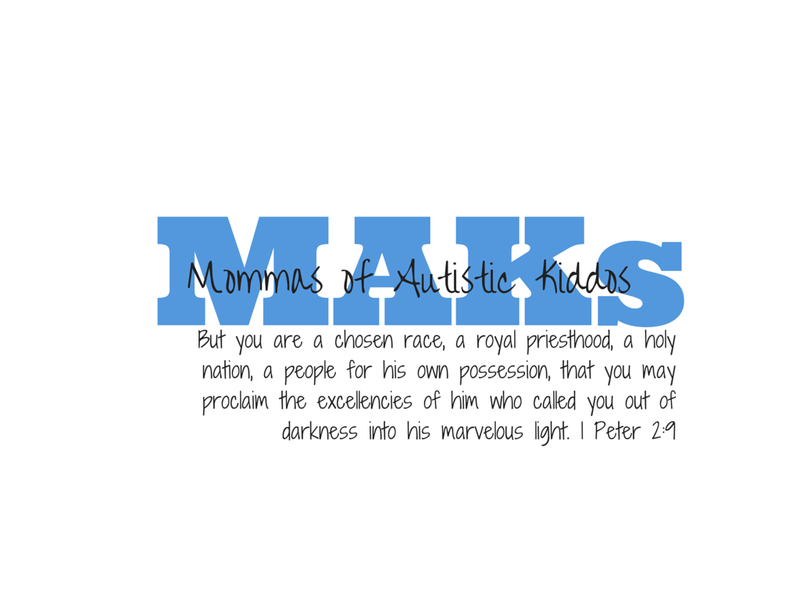 I am working on writing a Bible study for MAKs (Mommas of Autistic Kiddos). I really don't know where to start. But what I do know a couple of things 1. I love to write (and I think I'm okay at it ;). 2. people love to hear Bman stories. So, that's where I'm starting. I'm going to tell our stories - good, bad and indifferent. I'm going to focus on our part of the story, not his school's part, not anyone else's part. It's our life and our story. I don't want to make this a place to complain or gripe. I want to make this a place to tell our story, reflect on what we've learned, what we can do better and offer a support to other families. Please join me in praying for God's direction in this endeavor. Pray that he will guide my steps and to be of service to Him and families dealing with autism. And if you know of any MAKs, send them my way!